I have to put the source code with this kind of format inside my report. I've read other questions. Most of them are just putting listing or minted inside tabular environment. But not the source code with it's line side by side. I tried some MWE but it's far from perfect. I have to add lines manually and the result is so bad. 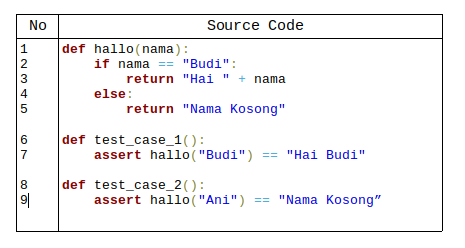 assert hallo("Budi") == "Hai Budi"
assert hallo("Ani") == "Nama Kosong"
Really need your help folks, to get this reports done. Not the answer you're looking for? Browse other questions tagged listings minted or ask your own question. 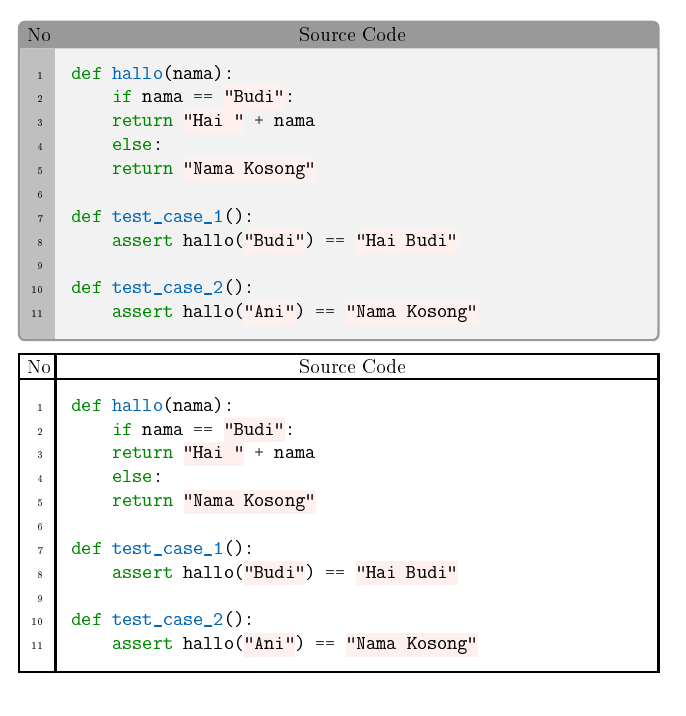 How to put source code in a LaTeX table? How put source to algorithm?